The "Bodak Yellow" rapper won't take her bloody shows off his neck. The government has been shutdown, but thankfully there’s one thing that Trump can’t stop: Belcalis Almanzar and her Instagram. On Tuesday afternoon, Cardi B took to her personal IG page to shame the Commander-in-Chief for the continued government shutdown and for forcing federal workers to return to work unpaid. Trump has pledged to keep the government shutdown until Democrats pass funding for his racist AF border wall. The strategy is backfiring, though: the majority of Americans blame Trump and the GOP, not Democrats, for the shutdown. Meanwhile, unpaid government workers went without a paycheck this week and owe more than $400 million in rent and mortgage payments. 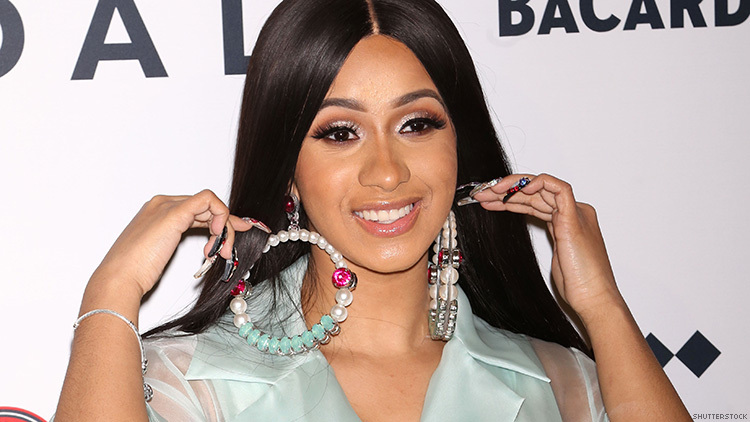 Cardi B is a consistent critic of Trump’s and rarely takes her bloody shoes off his neck: just earlier this week, she ridiculed him for promising “racist rednecks” he would build a wall. "Trump is like a clout chaser," she said. "He's like one of these new rap artists — they follow, they do the most for clout. And Trump wants that." This is not the first time Cardi B has been openly political. In September, the Bronx native endorsed progressive New York gubernatorial candidate Cynthia Nixon and turned down a slot at the upcoming Super Bowl in support of former NFL quarterback Colin Kaepernick.